Hi, I’m Julie Tiedens, a student media adviser in Black River Falls, Wisconsin. 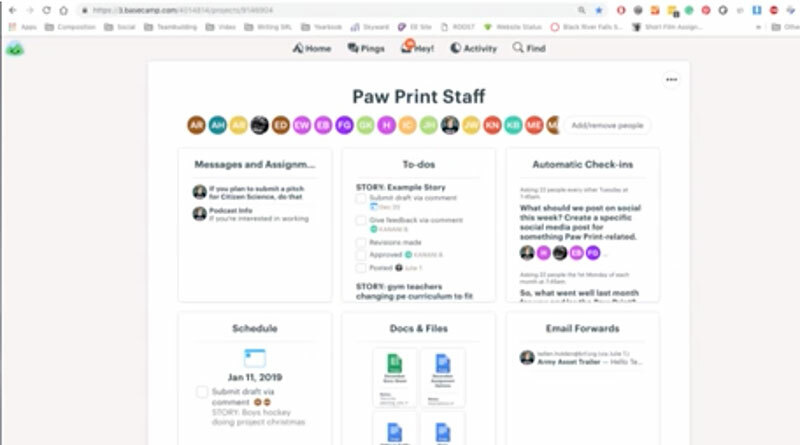 My newspaper staff uses Basecamp to help us keep organized and this video is a walkthrough of how we do it. Julie Tiedens is a high school journalism and English teacher at Black River Falls High School, a school of 500 students in rural Wisconsin. She advises the student online newspaper, a daily announcements show, the yearbook and a PBS NewsHour Student Reporting Labs school site. Over the last two decades, one of her biggest goals has been to make her students better media consumers and creators. Another goal? Raise a son who loves the news just as much as she does.